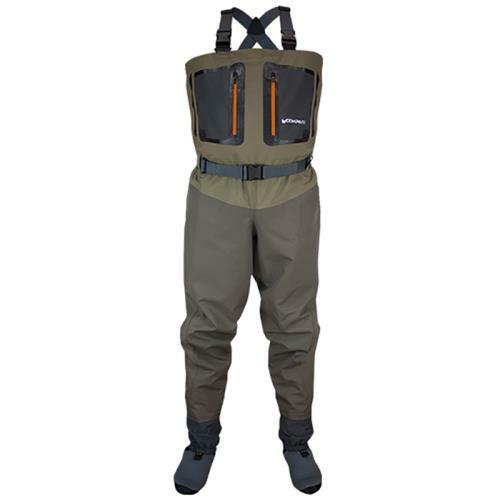 Don't spend this wading season wet and uncomfortable; put on a pair of Compass 360 Point Guide II Stockingfoot Chest Waders before you hit the water! 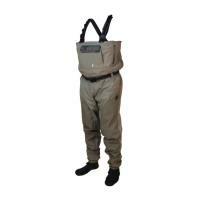 Built with durable 4-ply nylon up and a 6-ply swing leg, water won't penetrate these waders no matter how deep you go in. 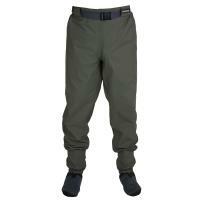 They use a single seam crotch design for zero seam chaffing! 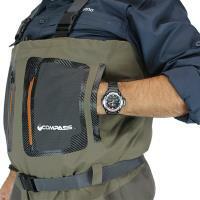 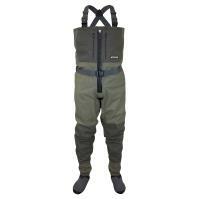 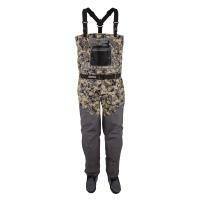 Compass 360 Deadfall Z Stockingfoot Chest Waders are among the most durable and feature-packed waders we offer! 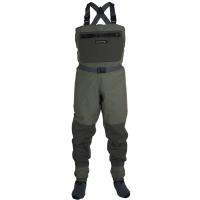 Built to withstand the rigors of even the roughest waters, these waders are constructed with a 4-ply nylon upper, double-taped neoprene booties, and double reinforced knees and legs. 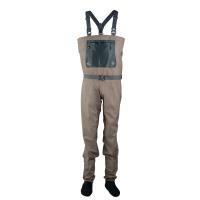 Deadfall Z Waders also feature convenient front zipper and zippered chest storage pockets for even more versatility. 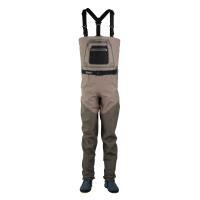 Don't spend this wading season wet and uncomfortable; put on a pair of Compass 360 Point Guide II Stockingfoot Chest Waders before you hit the water! 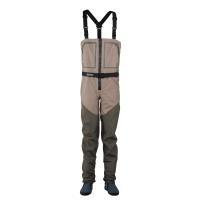 Built with durable 4-ply nylon up and a 6-ply swing leg, water won't penetrate these beathable waders no matter how deep you go in. 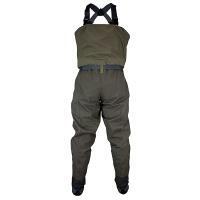 For a super comfortable fit, the Point Guide II Waders use a single seam crotch design for zero seam chaffing! 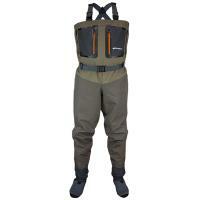 Compass 360 Point Guide II Stockingfoot Chest Waders is guaranteed 100% waterproof, meaning you can have the best at a reasonable price.